The core of the Christmas for Refugees program is the same in Lebanon, Jordan and Iraq, but the local needs in each of those nations are different, as are the customs. 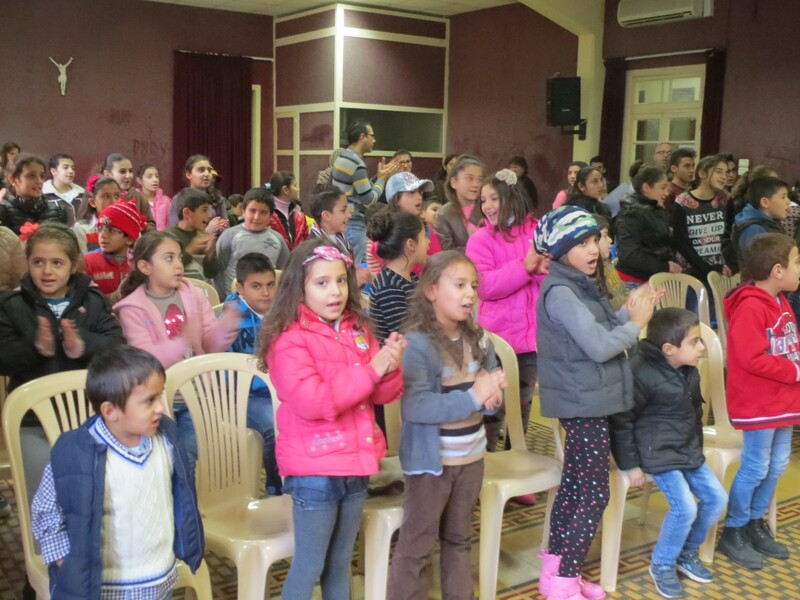 In Lebanon, the Christmas events for the children are held in locations all over the country, as the Christian families are scattered. 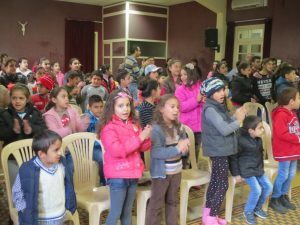 Because Lebanon is 40% Christian, we are often able to use church buildings and have some church staff to help — although in some areas of high Muslim concentration we do have to use public centers. The events generally are for 100 to 150 children each. As the situation changed and more ministries brought in food, we filled the needs for hygiene materials (soaps, disinfectants, etc.) that others were not providing. There is still a great need for the hygiene kits we make up in Jordan and Iraq, but not so much in Lebanon. The need there now is blankets for the children. Most of the Christian refugees live in the mountain areas where it is very cold during the winter, not on the coast next to the warm Mediterranean Sea.